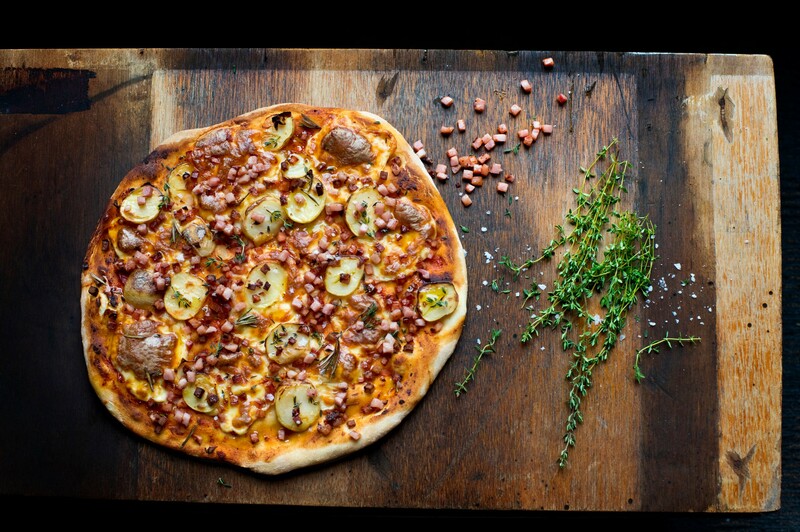 Everybody loves a crusty pizza – this recipe offers a gourmet twist, great served with a fresh rocket salad. Tip: Add a few chopped olives for some added variety. Roll pizza dough to make two 12-inch bases, approximately 5mm thick. Dock with a fork. Spread passata over bases, top with potato, bacon and mozzarella. Drizzle with olive oil and sprinkle sea salt and thyme leaves. Bake for 15 minutes or until golden. Garnish with thyme sprigs and serve.